It all started with the purchase of a piece of property in ​1874 for $31.50. The property was bounded by a large pine tree and a stone. With this transaction, and the work of many ministers and lay people, Center Methodist Church became a reality. This reality has taken many turns and changes, which continues to the present year of 2010. The original church building was closed in 1925 and Center took on a restful state awaiting a new resurgence of faith and hard work. Rev. J. J. Powell from Epworth UMC and a dedicated group of 14 local church members from various churches started this new beginning. They held a new gathering in the old, original building on August 15, 1954. A building committee consisting of Chairman W.L. Little, L.G. Garmon, Glenn Plott, Paul Campbell, Mrs. Gilbert Little, and Mrs. A.L. Puckett oversaw the building of our present fellowship hall in 1958-1959 for $52,000. Later our beautiful sanctuary was built in 1967 for $109,000. The original Center parsonage on Old Airport Road was bought for $10,000 in 1963. A new parsonage was bought in 1984 on Woodend Drive in Concord. Additional land was bought from the Cook family to square off our property lines at the back in the 1980s. 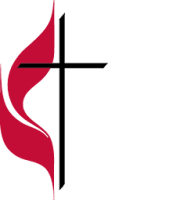 The merger of the Methodist Church and the Evangelical United Brethren Church in 1968 changed our name to Center United Methodist Church. This union of people joined Christians with similar beliefs and policies to form an organization which could better spread the word of God. Giving and caring and doing for others has become the signature of Center UMC. The church has very active youth and adult programs. The Visually Handicapped program which started in 1974 continues, our yearly Thanksgiving meal for the public which started in 1993 continues, our youth building team for Carolina Cross Connection and our adult building teams to many countries are just some of our many outreach efforts that we are proud of. Our current 2010 church membership has grown substantially with Sunday school classes meeting in the kitchen, fellowship hall and parlor rooms. We love having this problem of needing growing room and new facilities. As with the original building team we are faced with our future needs and how to accomplish this goal. Center UMC has always found a way to survive, plan and move into the future with the hopes of being a place to worship, heal and celebrate. Our children will read about how we stood together as a church and built our future through our faith. Making history is a lot more fun than reading about it. In 1995 through 1996 a new building fund was started with the goal of church expansion. Plans were developed over many months by the building fund committee working with Griffin Associates. The building fund is still growing and immediate plans to build are on hold In 1996 one of our families Jim and Linda Hood and their four sons left our church to help start a new Methodist church, called Crossroads, in the western part of Cabarrus County. In 1996 Center completed our new parking lot with curbing which cost $75,000. This was required due to the new Hwy. 136 expansion and intersection which was completed that year in front of Center UMC. A large part of our front parking lot was taken for this state project. NC State reimbursement was $55,000 to our church for the taken land. A retaining wall was built by the state to protect our graveyard instead of the original plan to move many gravesites. We have our current building team committee to thank for intervening to get this changed through many meetings back and forth. There was concern for the appearance of Center after all this work was completed. If anything, the appearance of Center is more open and inviting with many more souls passing each day.